For those of you with an hour to spare, a recording of this morning’s Talking CFD Live Q&A Roundtable is available on YouTube. Yours truly was one of the panelists for a discussion that ranged from AI to democratization and everything in between. The 11 episodes of this podcast series are archived at Talking CFD. Desktop Engineering’s article on Notes from the Mesh-Making Frontline delves into the question of exactly how hidden meshing should be. On May 25th we’re hosting a Let’s Talk Meshing webcast on Localized Remeshing Strategies for Parametric Models. Please join us. The Call for Papers (abstracts due 01 July) and Registration (free!) are now open for the Pointwise User Group Meeting 2016 (21-22 September in Fort Worth). CFD simulation by SC/Tetra of a cerebral aneurysm. Image from Altair. Click image for article. Read this for the title alone: time to stop hero-worshipping the wind tunnel (from Exa). Validating CFD for prediction of floods. A very complete, basic article walking-through use of SolidWorks Flow Simulation for flow through a pipe. CFD for oil tankers and ferries. Jeff Bezos explains how CFD will prevent Blue Origin’s engine from melting. [I wonder about his thoughts on meshing.] See image below. ANSYS CFX simulation of a BBQ smoker. Image from Travis Jacobs. See link above. ThermoAnalytics has introduced CoTherm, software that couples the company’s TAITherm with CFD codes STAR-CCM+, Fluent, and more. You can read about global adaptive meshing in MSC Software’s MARC. CAESES now supports “colored IGES and STEP formats” for closer coupling of design, meshing, and CFD software. Beta CAE released v16.2.0 of its software suite. EnSight Version 10.1.6d was launched. Concepts NREC and Numeca have agreed to combine their products offerings to the turbomachinery industry. ANSYS earned $225.9 million in Q1 with software license revenue up only 1% (as reported by Monica Schnitger). This includes one order in excess of $10 million. Enter and you might win the Tell Us Your Moldex3DStory contest. 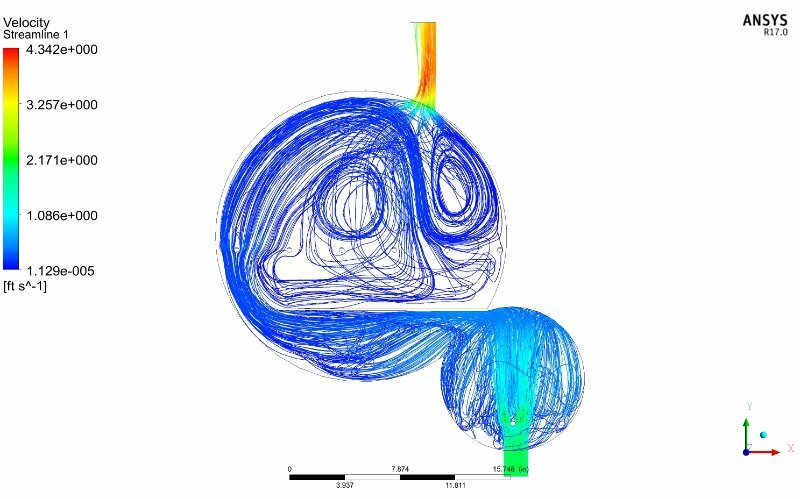 CFD simulation results of Blue Origin’s rocket engine. Image from Popular Science. See link above. The 20th Australasian Fluid Mechanics Conference will be held in Perth on 05-08 December 2016. The CFP is open with abstracts due 20 May. The 4th annual OpenFOAM User Conference 2016 will be held in Cologne on 11-13 October. The 2016 FLOW-3D Americas User Conference will be held in Chicago on 22 September. The Converge User Conference 2016 will be held in Madison, WI on 26-30 September. Abstracts are due 01 July and attendee registration is now open. The OpenVSP Workshop 2016 will be held at NASA Ames on 23-25 August. On 12 April 2016, I was fortunate to be in the audience for an hour-long discussion with Frank Stella whose retrospective is currently on display at The Modern into September. A screen capture from a video recording of that interview is shown below with Stella on the right and Michael Auping, The Modern’s chief curator, on the left. A recent Stella work is shown in the upper left of the frame and what interested me was that it was designed in CAD and 3D printed. Part of it even has a mesh-like appearance. Stella quoted painter Willem De Kooning as saying “Painting is about flatness but where’s the volume? You have to paint the volume.” He referred to his own recent works as 3D paintings rather than sculptures. Screen capture from the video interview of Frank Stella whose retrospective recently opened at The Modern Art Museum of Fort Worth. Click image for video. 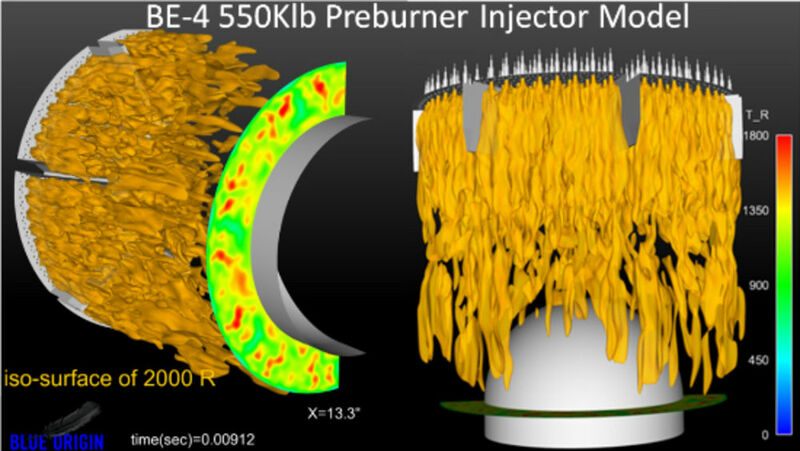 This entry was posted in Applications, Events, News, People & Places, Software and tagged Beta CAE, CAESES, Concepts NREC, CONVERGE CFD, CoTherm, EnSight, ESI, Exa, FLOW-3D, Fluent, Marc, meshing, Moldex3D, MSC, Numeca, OpenFOAM, OpenVSP, Pointwise, Pointwise User Group Meeting, SolidWorks, STAR-CCM+, TAITherm, Talking CFD, ThermalAnalytics. Bookmark the permalink.